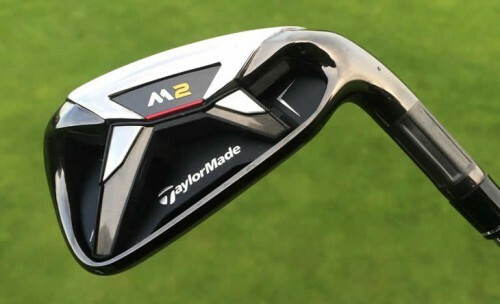 Why are the TaylorMade M2 irons the longest irons yet? …and this definitely is the case with these futuristic looking irons. 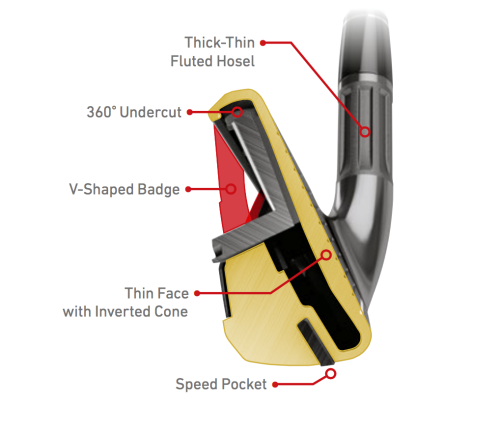 Taylormade have introduced a ‘fluted hosel’ relocating weight (3 grams to be exact) and distributing it as low as possible in the club head. This lowers the centre of gravity to promote a much higher launch angle and greater ball speed! Not only will these high tech clubs get you to the green, the higher launch will help you stay there – perfect for the mid-to-high handicapper wanting instant game improvement. It’s clear just by looking at these club’s there’s a lot of technology packed into them creating the extra power. The most eye catching feature is the 360° Undercut cavity back. 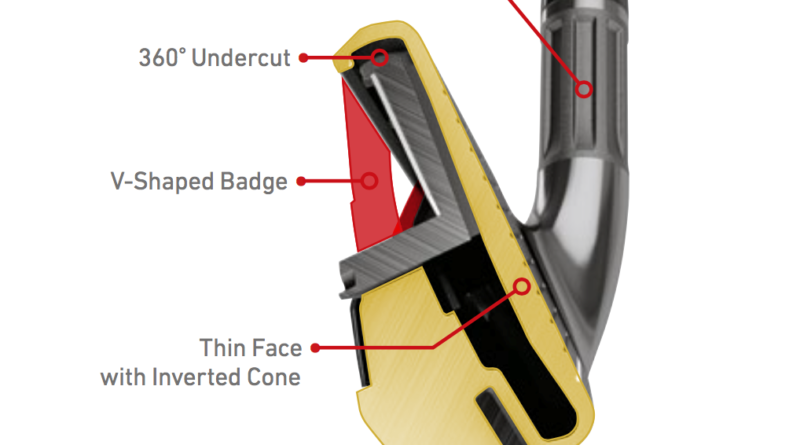 This design increases face flex and in effect, ball speed. Weight from this area has also been placed lower to create the ultra-low CG. Now here is the clever part, shifting the majority of the weight to the bottom of the club head has enabled the engineers to strengthen the lofts, meaning maximum distance for you without costing you trajectory. Which is great for getting that ball to stick the green upon landing. 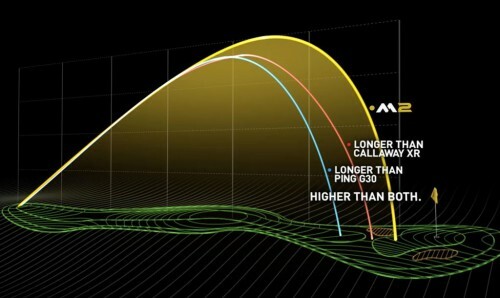 This diagram shows a robot testing distance based on a 7 iron at tour player club head speed. This club does look like it could be something out of the latest Star Wars movie, but you’d expect nothing less from a club designed to launch your ball into the clouds. Taylormade have focused on ball speed and have achieved this by removing mass where possible and repositioning it as the base enhancing launch and speed so that’s a thumbs up from me! I’m not going to say anymore; I think you should test it for yourself and see the gains. ← 2016 BMW Championship – Who will win?